Easter Theater Box Candy 50¢! 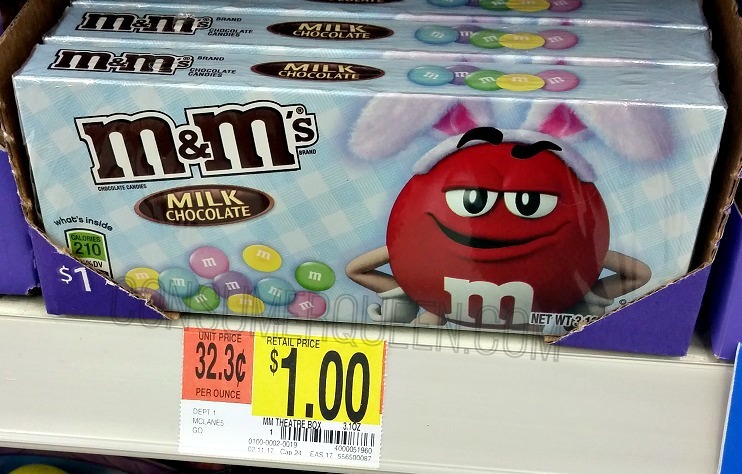 Head to Walmart, Target, and even CVS this week and score 50¢ Easter theater box candy with this new coupon! If shopping the discount stores (Walmart, Target, etc.) the Easter candy boxes are priced $1.00 so 50¢ each after coupon. The coupon is valid on Easter Dove, M&Ms, Starburst, Skittles and more.